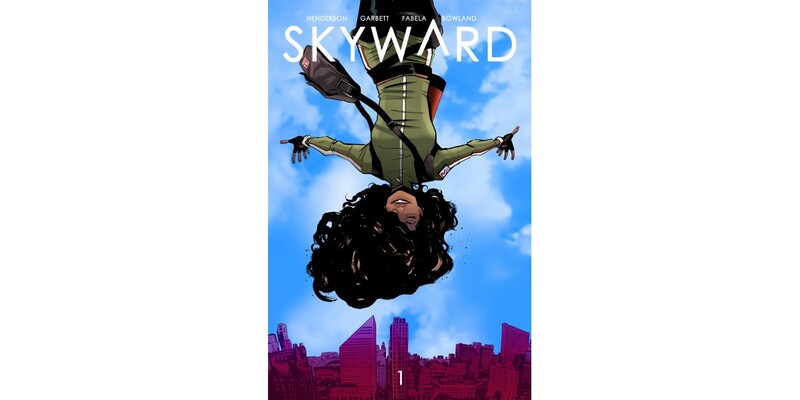 Writer Joe Henderson (showrunner of Fox’s Lucifer) and artist Lee Garbett (Lucifer, Loki: Agent of Asgard) team up for an all-new gravity-defying series in SKYWARD. Writer Joe Henderson (showrunner of Fox’s Lucifer) and artist Lee Garbett (Lucifer, Loki: Agent of Asgard) team up for an all-new gravity-defying series in SKYWARD. The new series is set to launch this April.